Student-athletes in high-profile college football programs might be thought of as the enviable “big men on campus,” but their positions come with a price measured in hours and minutes. If they’re not in class, they’re at practice. And if they’re not at practice, they’re at weight training. Or in team meetings. Or tutoring. Or volunteering at community events. And with whatever time is left, they try to carve out a personal life. Those time commitments are more than worthwhile for the lucky few who land a career as a professional athlete, but what about those who will hang up their pads after graduation? Most employers want someone with relevant work experience, and when you only have three weeks a year to yourself, internships are hard to come by. 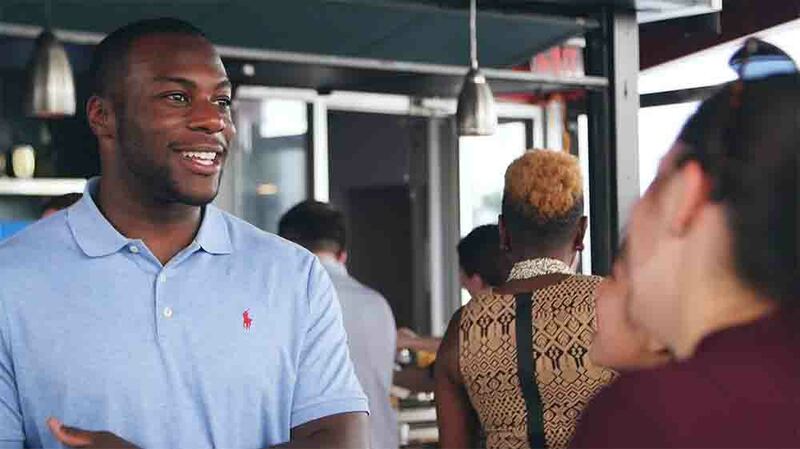 Last year, UGA’s Corporate and Foundation Relations (CFR) team partnered with RaceTrac and UGA Athletics to develop a new opportunity for football players: two-week “micro-internships” at RaceTrac’s home office in Atlanta. RaceTrac and UGA have had a fruitful relationship for a number of years—UGA has the highest representation among college alumni at RaceTrac’s home office, known as the Store Support Center—so the door was already open for further collaboration. After a January 2018 conversation between Patton and UGA’s CFR team about RaceTrac’s micro-internship idea, things began to move quickly. 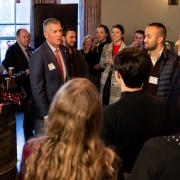 “When CFR reached out about this opportunity, I was excited about the innovative program structure and the possibility of partnering with such a large company,” said Leigh Futch (ABJ ’05), director of student development for the UGA Athletic Association. 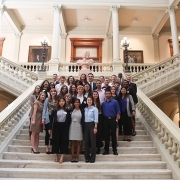 Futch created The Georgia Way, a comprehensive career development program aimed at preparing student-athletes for success after athletics, regardless of when that time comes. An integral part of the program is connecting UGA student-athletes to resources that will enable a smooth transition to the professional world. RaceTrac’s micro-internships seemed to be a perfect fit. 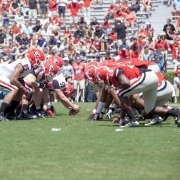 Futch and UGA Athletics worked with RaceTrac to identify upperclassmen football players who were majoring in areas related to four of RaceTrac’s departments: Reporting and Insights, Financial Planning and Analysis, Human Resources and Operations. That list totaled 16 student-athletes—including Harper—who were each interviewed by a panel of RaceTrac senior/executive-level staff. Harper and three others became RaceTrac interns, working at the Store Support Center in May 2018. The four UGA student-athletes were joined by six Clemson University student-athletes, and each intern was assigned to one of the aforementioned departments for their two-week stint. 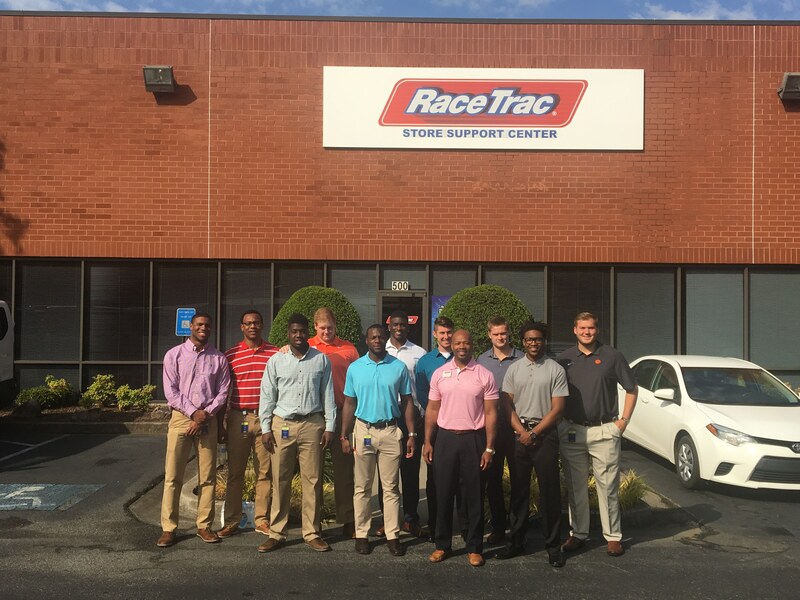 The interns were tasked with projects they’d have to present to RaceTrac staff at the end of the program, and they were immersed in RaceTrac’s corporate environment by way of orientation sessions, networking events, assessment workshops and more. “I spoke with each player about their experience, and they were all grateful for the opportunity and more confident in their abilities to perform outside of the athletics environment, which was music to my ears,” said Futch. For one of UGA’s student-athletes, the internship was more than just a valuable learning experience: Daniel Harper is now a full-time operations analyst for RaceTrac. Plans are in place to repeat the program with more schools involved and more student-athletes from all sports. 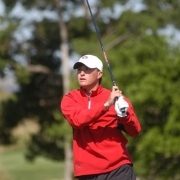 Futch is fielding micro-internship inquiries from many of UGA’s athletics programs. And other companies are taking notice of RaceTrac’s creativity. The program’s success also speaks to the strength of the RaceTrac-UGA partnership and of UGA’s alumni network. Patton’s relationship with RaceTrac began when a UGA sorority sister made a connection for her at the company, and now, through these micro-internships, she can do the same. 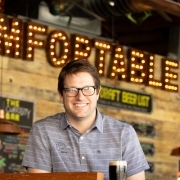 Harper, too, takes pride in his ability to “pay it forward” by opening doors for UGA alumni in his new position.